During two of my children's high school years, I used Jensen's Format Writing as the leading book for English. Jensen's Format Writing is a writing class, no grammar included, and that is good in our case because that left me free to assign the grammar classes that my students actually needed. When I graded my children's work from Jensen's Format Writing, I was able to see where they needed extra grammar instruction. I mainly used BJUP English Handbook for Christian Schools for the grammar lessons. I also assigned reading selections from Elements of Style by Stunk & White. 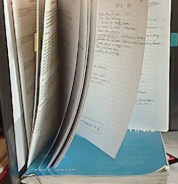 I used a third book, Hodges Harbrace Handbook 14th Edition, but mostly for my reference. Outside of this website, I have recommended Jensen's Format Writing for several years, but I have never said anything about the book at this website and it is about time that I did. Jensen's Format Writing teaches expository writing in a systematic way. If you read wikipedia's page on expository writing, you will see that expository writing is a type of writing that exposes information. According to the wikipedia, colleges and universities commonly require expository writing, and this is true. My son had to turn in a research paper during the first two weeks of his freshman year at a university. That was the first paper of many papers and he would agree that colleges and universities commonly require expository writing. Jensen's Format Writing, Revised by Frode Jensen is for students in the 8th grade and higher. It's 160 pages and my book, purchased in 2003 or '04, has the copyright year of 2002. Jensen's Format Writing is in seven parts: paragraphs, the elements of five-paragraph essays, the five-paragraph essay formats, book reports, business letters, condensation, and finally the major report. I have the table of contents online where you can see all of the topics of the class. The material is presented in a concise and orderly manner. Examples of paragraphs and essays are included along with clear instructions that are in a list format. The author directs the student to think in order. Helps: The included teacher helps are grading check sheets, assessment forms, and a sample schedule. I found the checklists to be very helpful because, as you might already know or will soon discover, grading essays can be difficult. Be certain to read the first part of the book, "To the Teacher" where you will find instructions, information, and suggestions from Frode Jensen. Comments that I made several years ago when I used Jensen's Format Writing. Last Thursday, my son turned in his first essay of the new school year. After grading it, I see that he needs to review comma usage. He made 7 comma errors (8 really, but one is debatable.) He made errors in style -- he overused "most" and actually started his first sentence with the weak phrase: "One of the most." Several of his sentences used the passive voice and he used contractions. He also made two errors on the usage of "it's." I will add to his schedule grammar/usage/style assignments as follows: review commas, if passive voice should be used, review it's and its, if contractions should be used, review weak expressions such as "One of the most." He will use a grammar handbook and The Elements of Style to review. We will have some discussions as well. Wimpy/lame version.. "I think HrDVD's were introduced last year by Sony"
Strong version "Sony introduced HrDVD's last year." He's learning a lot this year.